Making it look almost like new again! Dirty & discoloured paving slabs? The Driveway Doctor is a leading Cheshire company for restoring, cleaning and sealing driveways, patios, decking, terraces and pathways, also for cleaning and renovating all stone surfaces – interior and exterior, plus internal floors and walls. The Driveway Doctor based in Crewe & Nantwich covers Cheshire, Staffordshire, Shropshire, and South Manchester. of the cost of replacement, helping to keep your property looking good for years to come. Your local expert Driveway Doctor has the remedy to your problems of stains and the general discolouration of your driveway and patio, terrace or pathway caused by atmospheric pollution, unsightly tyre marks, oil stains, weeds, moss and slippery algae. Whatever the material – block paving, tarmac, paving slabs, printed concrete, natural or re-constituted stone – with The Driveway Doctor safe CHEMICAL FREE restoration process, the surfaces are restored to their original finish. Weeds, moss, grass, stains, slippery algae growth – all are removed, quickly and safely. The Driveway Doctor is based in Shavington, near Crewe and Nantwich and covering Shropshire, Cheshire and Staffordshire. Why use The Driveway Doctor? 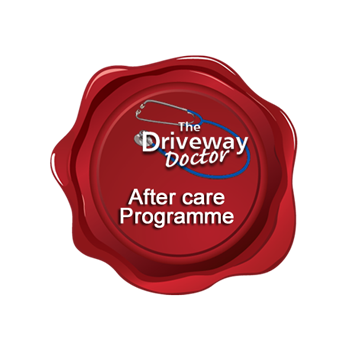 Sign up for the After Care Programme and we will regularly visit and take care of your paving and driveway. 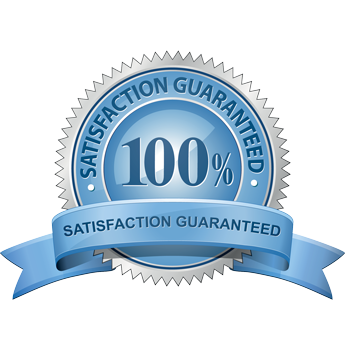 All our work carries a 100% risk free guarantee. There is nothing to pay until you are totally satisfied with our work.